Four professionals – Arts and Cultural leaders, Architects, Designers and Producers – discuss ‘Cultural Cities – Cultivating Connections between People and Place’ to explore the creative capacity of our cities, who our public spaces belong to and how communities are empowered by culture. Presentations will be followed by a debate with questions for the speakers from the audience. This event is part of a wider programme titled Park Here and Play led by a unique partnership between Leeds City Council, Leeds Art Gallery and DLA Design. 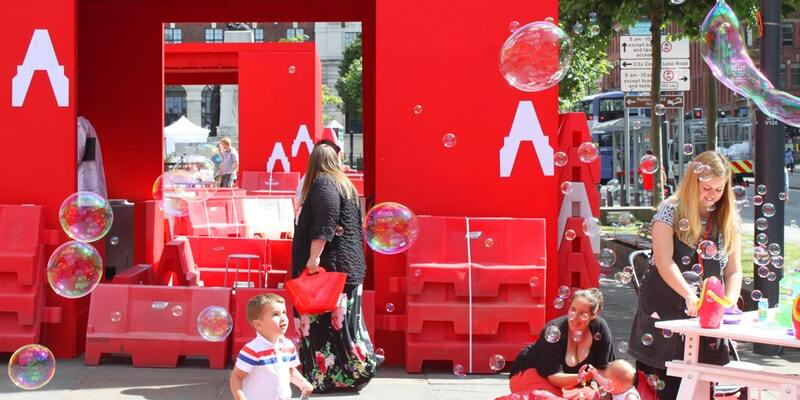 Park Here and Play included a temporary intervention in Victoria Gardens outside the Art Gallery, which was animated through artistic and community activities in summer 2017. The event will be followed by a drinks reception at Leeds Art Gallery from 8-8.30pm.